Bring Your Own Device (BYOD) is bringing new freedom to the workplace. But it’s not without its potential pitfalls. If the right management practices aren’t in place, BYOD can make your business vulnerable to costly downtime, information leaks, and security breaches. 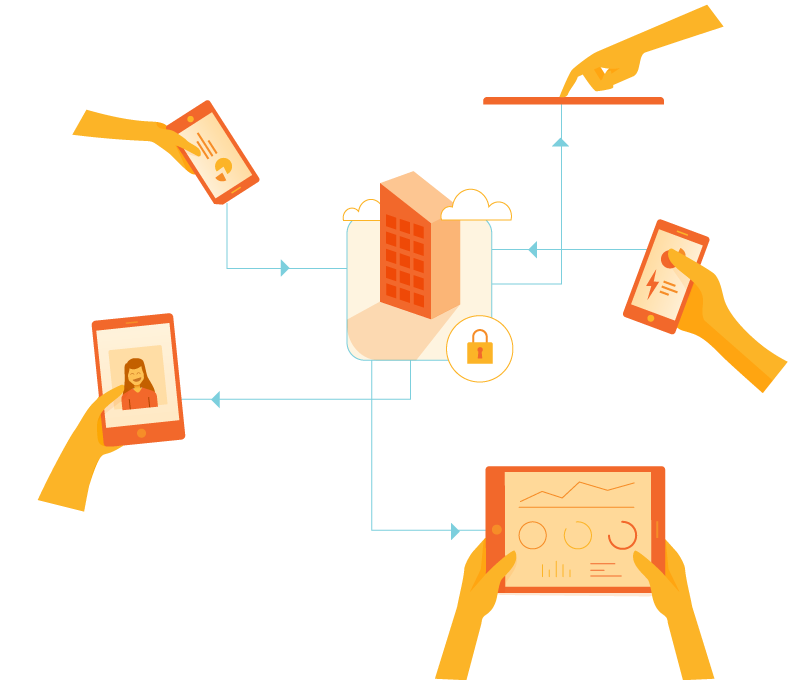 Office1 has the tools to help you win at BYOD. BYOD at work is more popular than ever. But do you feel at a loss about how to control what your employees access on their phones? Mobile device management (MDM) lets you safely and efficiently manage employees’ smart phones, tablets, and laptops while they’re at work. Office1 offers customized, industry-leading MDM services to give you more control while giving your team mobility. Through Remote Device Management, we keep an eye on your business’s mobile devices, from phones to tablets. Our remote access allows us to push-down software, get alerts when a device is out of compliance, and remotely control or lock the device. Need to wipe all the data completely? We can do that remotely too. MDM is no longer a luxury, it’s a necessity. Let us analyze your business needs and comes up with a custom solution. That’s the Office1 difference: We’ll listen to your mobile device management goals, ideas, and concerns and work closely with your team to get everyone on the same page. It’s time to start making the most of MDM. Optimize your office for the wide world of mobile technologies today.